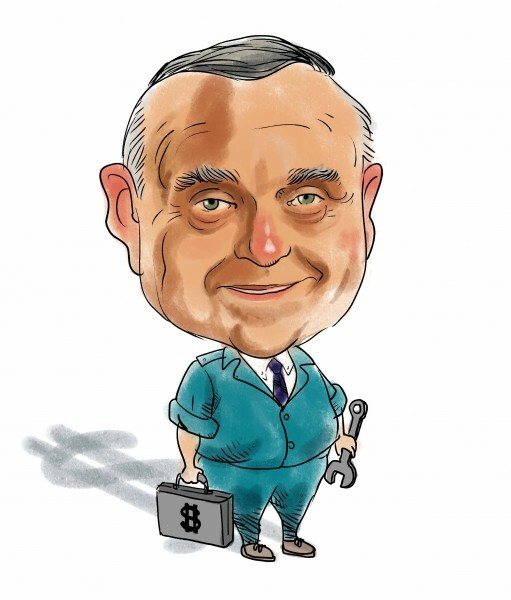 Leon Cooperman is the man behind Omega Advisors and ranks a tidy 155th on the list of wealthiest billionaires in the United States. According to Forbes, Leon Cooperman has a real-time net worth of $3.8 billion and has signed the giving pledge, contributing a majority of his wealth towards charity. His firm Omega Advisors makes its investment choices using a top-down approach for choosing industries and coupling it with fundamental analysis. According to its recent 13F filing with the SEC, Omega Advisors reported a public equity portfolio holding $6.27 billion in equities, while the firm has assets under management of $8.9 billion. Motorola Solutions Inc (NYSE:MSI), Eastman Chemical Company (NYSE:EMN), and MGM Resorts International (NYSE:MGM) are the top mid-cap equity investments of Leon Cooperman, who pours far less of his investment money into large-cap stocks than many of his wealthy peers. In this article, we will analyze the overall hedge fund sentiment surrounding these stocks and dig a little deeper into their management. Motorola Solutions Inc (NYSE:MSI) holds down the number ten position in the equity portfolio of Omega Advisors, which trimmed its stake in the company by 2% to 2.65 million shares valued at $151.69 million. The communication infrastructure company is endeavoring to grow its presence in the software and service business, with recent reports suggesting that the firm is in talks to buy Airwave Solutions Ltd. As per the reports, Motorola Solutions Inc (NYSE:MSI) might pay up to $1.57 billion for the communications service provider. The communication device manufacturer recently reported a strategic partnership with Silver Lake, under which the investment firm will invest $1 billion in Motorola. The shares of Motorola Solutions Inc (NYSE:MSI) rallied by 8.52% after the announcement on August 5. The device manufacturer reported GAAP earnings per share of $0.72 for the second quarter, improving its EPS by 140% year-over-year. Its net sales were down by 2% to $1.37 billion for the second quarter, with a GAAP operating margin of 18.6%. Smart money was bearish about Motorola Solutions Inc (NYSE:MSI) during the second quarter, with the number of hedge funds holding positions in the company declining by eight to 30 during the period. The hedge funds that we track at Insider Monkey had $1.93 billion in holdings of the company against previous quarter holdings of $3.66 billion. The shares of Motorola Solutions Inc (NYSE:MSI) declined by 14% during the second quarter, which contributed to the decline, but not to the extent witnesses. Jeffrey Ubben of ValueAct Capital is the largest shareholder of Motorola Solutions in our database, holding a position worth $1.01 billion from ownership of 17.59 million shares of the company.